Mombercelli is the small village in Asti where Luigi Spertino started to make wines about 50 years ago together with his wife. 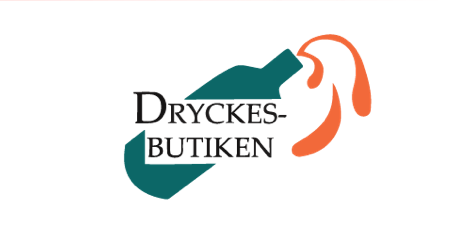 Today it is his son Mauro Spertino who is in charge of the wines. He has been working in the winery with his parents as long as he can remember, and is now the one that’s responsible for both the vines and winery. His parents are still around but with both of them being over80 years old, they also enjoying life and wines on their patio. In total they have 6 hectares up on the steep east and north-east facing slope just above their house. 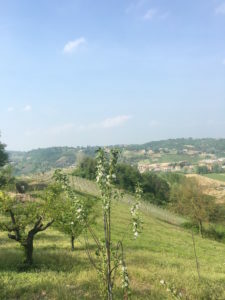 The vineyards are planted with Grignolino, Barbera and Cortese. The cellar is situated under the house where Mauros parents still lives. 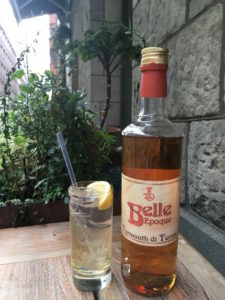 Apart from their wines, they also produce a white Vermouth ‘Belle Epoque’ that is an old recipe that Luigi started to produce again 30 years ago. The Vermouth is made with Cortese wine and is herbal, floral note with well-balanced sweetness and acidity. On the nose it also has a hint of caramel and vanilla. This recipe is inspired by the Belle Epoque period – therefore the name.